A premium paint sealant for your every day driver. 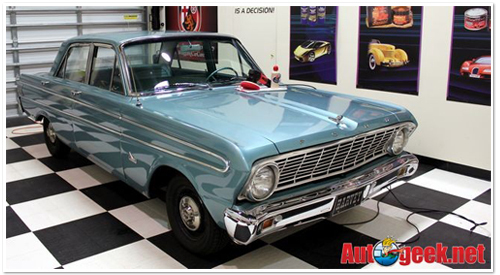 Griot's Garage Paint Sealant is durable paint protection for the daily driven, occasionally detailed vehicle. We know there are a lot out there! Griot's Garage Paint Sealant provides ultra durable, synthetic paint protection that lasts up to one year! 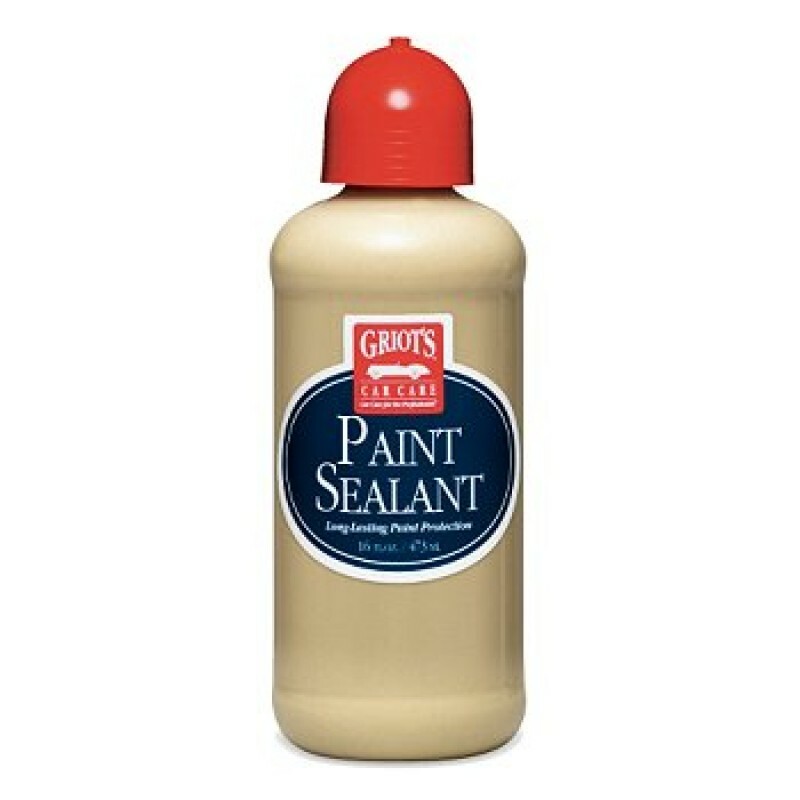 Griot's Garage Paint Sealant is simple to apply, looks great, and lasts. 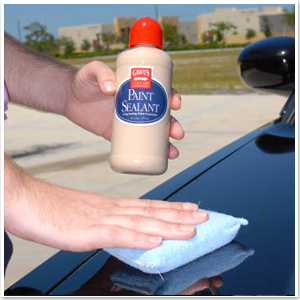 It's everything you want in a paint sealant. If you don't have the time to wax your car 3 to 4 times a year, park your car out-side without a cover, drive your car through car washes occasionally, and want maximum protection from acid rain, fallout, and bird droppings, then this is the product to use. Plus, why pay your dealer $300 -$600 to seal your paint when you can do the same thing for $19.99? Griot's Garage Paint Sealant provides all the protection you need, yet still provides a high gloss finish that you only have to apply once a year. Griot's Garage Paint Sealant is great for new cars on the outset, or for surfaces that don't require any polishing or swirl mark removal. However, you'll find it has tremendous fill capabilities to hide many swirls marks! 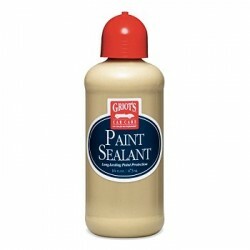 You can also use Griot's Garage Paint Sealant on newly polished paint. Use Griot's Garage Paint Sealant on boats for complete protection too. 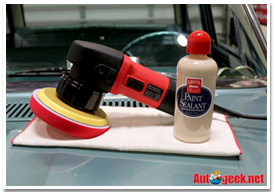 Griot's Garage Paint Sealant can be applied by hand or with a polisher. Griot's Garage Paint Sealant is easy to apply by hand or with a dual action or orbital polisher using Griot's Garage Red Foam Pads, and it's even easier to take off leaving no residue! Apply a thin coat to the entire vehicle and buff off using a Griot's Garage Micro Fiber Wax Removal Cloth. Once you've applied Paint Sealant, enhance it every time you wash with Griot's Garage Spray-On Wax. Of course, a vehicle protected with Griot's Garage Paint Sealant is easier to keep clean and retains its shine and depth of color better than an unwaxed vehicle. If you park your vehicle outdoors, Griot's Garage Paint Sealant is a must! This is a truly amazing product that has taken years to develop. Griot's Garage Paint Sealant is designed for the car enthusiast who's less enthusiastic about detailing. But it works so well, no one will ever know!